Google Play for Education has officially launched. It’s an extension of Google Play that’s designed for schools, simplifying discovery of educational apps and enabling developers and content providers to reach K-12 educators in the U.S. It offers bulk purchasing with purchase orders and instant distribution of educational apps, videos and other educational content to students' Android tablets via the cloud. Google Play for Education helps your apps gain visibility with the right audiences, without having to knock on school doors. If you've built an Android app that would be awesome for schools—or even have an idea for one—now's the time to jump in. We'll put you one click away from getting purchased and installed by entire school districts. Class Dojo, Explain Everything, Nearpod, and Socrative are already getting discovered in Google Play for Education. If you already have an educational Android app you can use the Google Play Developer Console to mark your apps for inclusion in Google Play for Education. Marking your app identifies it as suitable for the US K-12 educational market and queues it for educator approval. These educators perform a first-pass qualification of apps, assigning the appropriate subject, grade, and common core standards metadata, while evaluating if the app meets the Google Play for Education criteria for classroom use. High quality apps are top priority for teachers. Whether you already have an existing K-12 educational app or are looking to build one, take a look at our detailed requirements and guidelines—which we have compiled for you based on educator feedback—to ensure your app is appropriate for a K-12 environment. 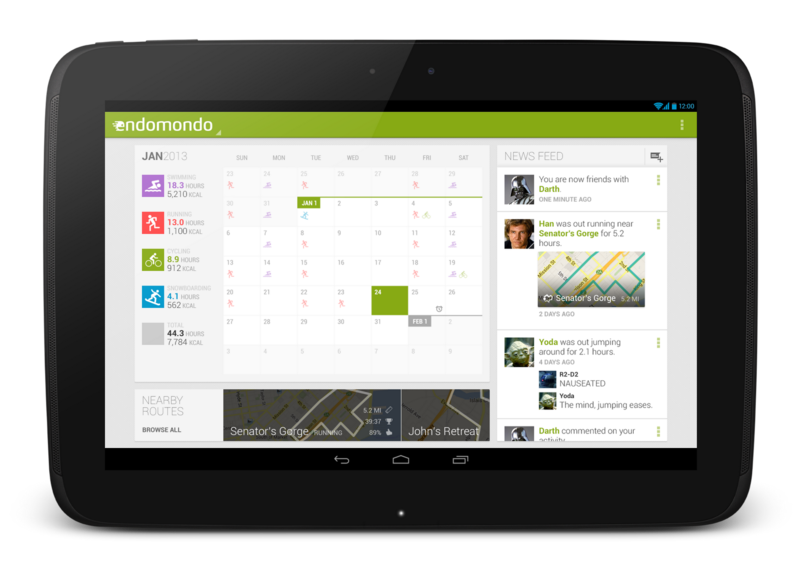 Also ensure that your app is optimized for both 7” and 10” Android tablets. 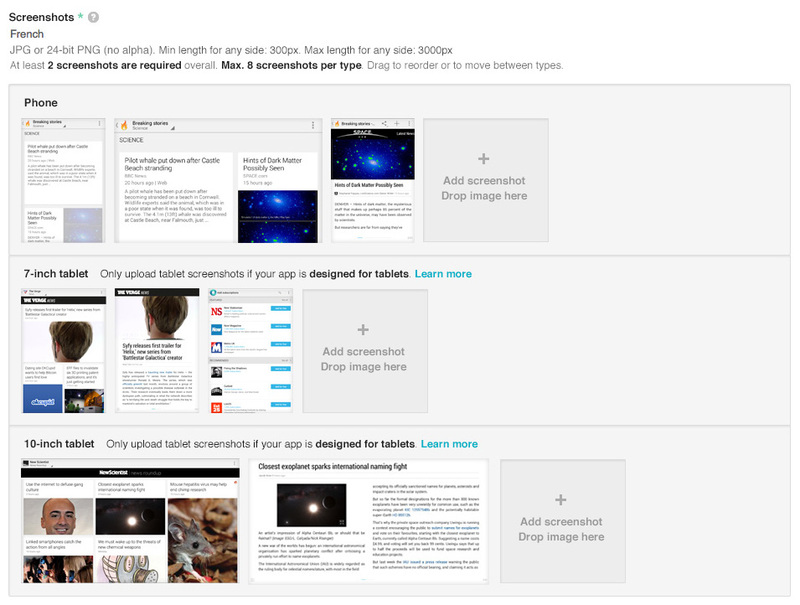 Then, upload your new or updated app through the Developer Console, opt in to Google Play for Education, and publish. We will email you when your app has been evaluated. 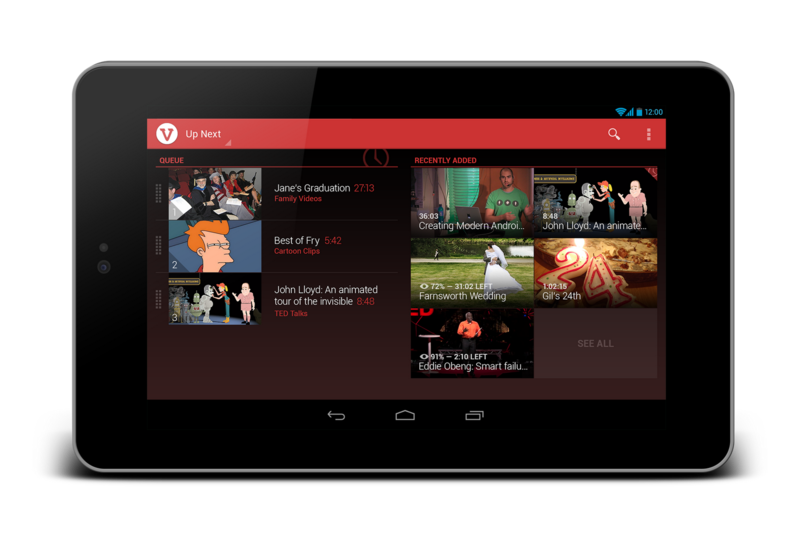 For more information, please visit the Google Play for Education pages on the Android developer site. We are excited to be supporting schools to bring the best content and tools to their students. We look forward to seeing your app on Google Play for Education. If you want to be sure your app is included in the “Designed for tablets” view, go to the Developer Console to check your tablet optimization tips. If you see any issues listed there, you’ll need to address them in your app and upload a new binary for distribution. If there are no issues listed, your app is eligible to be included in the “Designed for tablets" view in the top lists. Last week, we unveiled a number of new things in the world of Android. And while we already showcased the new tools available at your disposal in Android 4.3, we also unveiled a new Nexus 7 tablet, as well as the Google Play Games app, both of which represent opportunities to take advantage of a growing number of users. 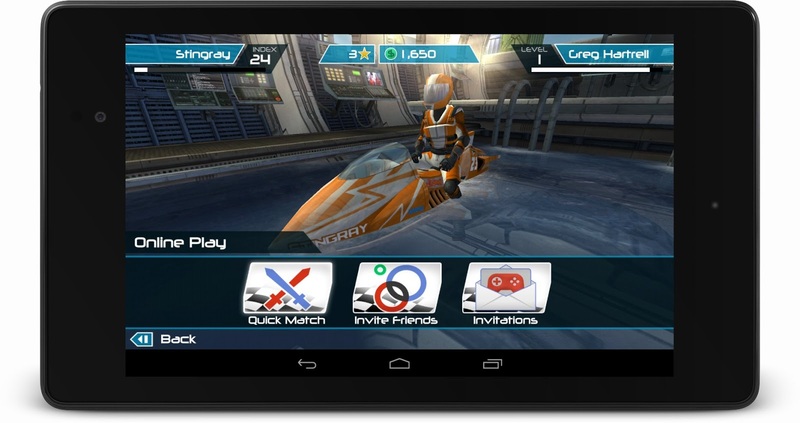 If you’re a developer optimizing your app for Android tablets, no doubt you’re familiar with the original Nexus 7. It was Google’s statement on what a great Android tablet experience should look like, and since then, the Android tablet ecosystem has come a long way. There have already been more than 70 million activations of Android tablets, with more than 1 in 2 tablets sold today running Android. We’re starting to see with Android tablets what could be the hockey stick growth all of us experienced a couple of years ago with Android smartphones, and we hope that the new Nexus 7 continues to fuel this growth even further. Most top developers on Android have already prepared their applications for this wave of new Android tablet users, including many of the essentials, like the New York Times, Zappos, Evernote, Flipboard, Pinterest and more. 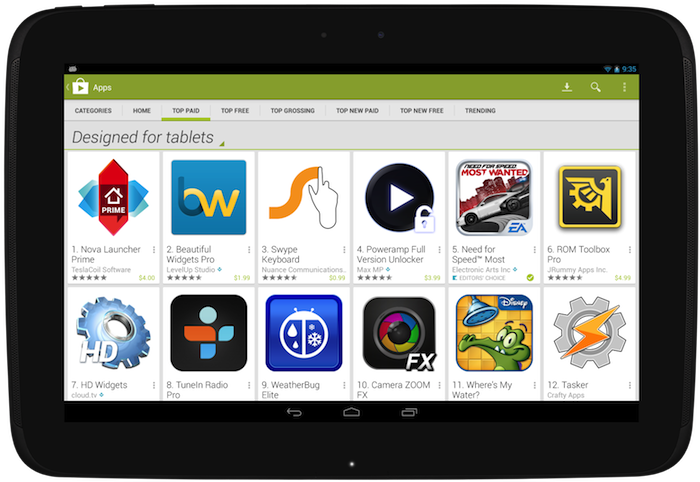 To help users find your tablet-designed apps more easily on Google Play, you can now choose to only see apps designed for tablets in the top lists. 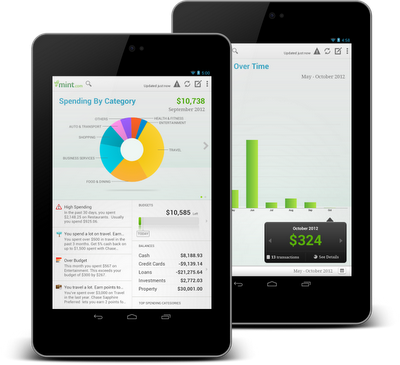 There are also over 50 new collections, which highlight outstanding tablet apps. To take advantage of the Android tablet revolution, check out our Tablet App Quality Checklist, which has tips and techniques on how to deliver a great app experience for tablet users. It details all of the key things you need to do to optimize your app for tablets, like taking advantage of the extra screen real estate and adjusting font sizes and touch targets, to things you can do on the distribution side, like declaring support for tablet screens and showcasing your tablet UI on Google Play by uploading tablet-specific screenshots. 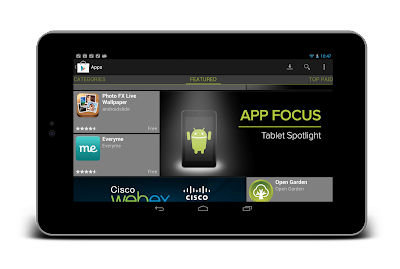 Optimizing your app for Android tablets will unlock a whole new group of users, like those who are about to receive their new Nexus 7 tablets. The Android games category on Google Play is on fire; in fact, the vast majority of top mobile game developers are building Android tablet games, and most new titles launch immediately on Android. To help game developers take advantage of the next generation of games, at Google I/O in May, we introduced Google Play game services, our gaming platform for Android, iOS, and the web. By building on Google’s strengths in mobile and cloud services, Google Play game services allows game developers to focus on what they’re good at: creating great gaming experiences for their users. Turbocharging that growth even more, on Wednesday we introduced the Google Play Games app, which brings your friends together with the games you love, where you can invite a friend and start challenging gamers around the world, compete for top achievements, and race to the top of the leaderboard. Since the launch at Google I/O, just over two months ago, over one thousand games have added Google Play game services, with millions of users enjoying features like leaderboards and multiplayer inside of the games they love. Some of those early developers using Google Play game services are reporting incredible upticks in vital engagement metrics; for instance, Concrete Software is seeing session length up 15%, and Glu is reporting a 40% increase in 7-day user retention. Integrate with Play Games using achievements and leaderboards to activate your players. Add real-time multiplayer to competitive and cooperative games and increase engagement. Use Play Games branding guidelines and create rich visuals that bolster your presence in the Google Play Games app. Whether it be getting your app ready for the wave of new Android tablets that are lighting up each day, or opening up a whole new set of features for your users with Google Play game services, a great Android experience starts with a great app or game. That’s why we’re working hard to help provide you with the tools and features needed to create those great experiences for your users, and to help you reach as many of them as possible in the process, with Google Play. Last week we updated our guidelines for making great tablet apps and added the ability to upload tablet screenshots that are shown preferentially in Google Play to users on those devices. Today we’re introducing a new Optimization Tips page in the Google Play Developer Console that lets you quickly see how your app is doing against basic guidelines for tablet app distribution and quality. When you upload an app, the Developer Console now runs a series of checks to verify basic criteria from the Tablet App Quality Checklist and shows you any issues it finds in the Optimization Tips page. If you’re developing for tablets, make sure to visit your Optimization Tips page to ensure that your app is delivering a great tablet experience. If there are any issues listed, we recommend addressing them in your app as soon as possible and uploading a new binary for distribution, if needed. For ideas on how to design and build a great tablet app, including details on how to address issues listed in your Optimization Tips page, check out the Tablet App Quality Checklist. Remember that a great tablet experience goes well beyond these basic checks. 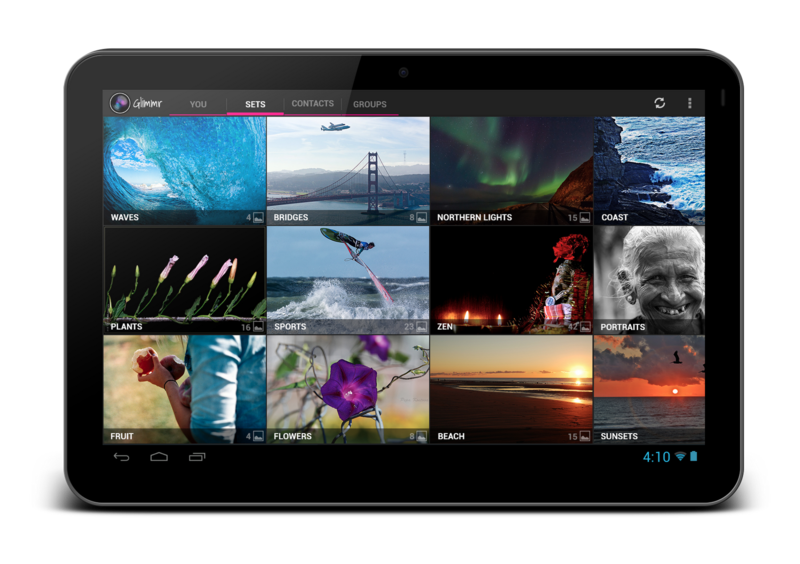 Keep working to bring your tablet users the most polished UI and richest content possible. More and more, developers are investing in a full tablet experience for their apps and seeing those investments pay off big. Starting today, it’s even easier to show off those tablet apps to users and to understand what it takes to make a great tablet app. Many of you have already made optimizations to your apps to make them more beautiful and useful on tablets, and we’re giving you a way to showcase your application’s specialized tablet layouts. You’re now able to upload screenshots of your app running on 7” and 10” tablets to the Google Play Developer Console, and those screenshots are shown preferentially in Google Play to users on those devices. In October, we published the tablet app quality checklist, which shares best practices for creating tablet applications that users will love. We've updated this checklist with additional tips and guidelines, as well as more details on specific technical checks you should perform to ensure your app is correctly optimized for tablets. Soon, we’ll start surfacing tips based on our tablet app quality guidelines directly in the Google Play Developer Console, and we’ll use these guidelines to help users better discover tablet apps in Google Play. So upload your tablet screenshots and confirm your app follows the quality guidelines today. Designing for Tablets? We’re Here to Help! So you’ve got a great Android phone app on Google Play, your users love it, and you’re kicking back and watching the download numbers soar. Congrats! But like any enterprising developer, you may be thinking, “how do I take my app’s success even further?” The answer: an equally awesome experience on tablets. Users love their tablet apps! For example, Mint.com found that the larger screen real estate allowed tablet users to engage with their budget data 7x more than on phones. And TinyCo found that on average, paying users spent 35% more on tablets than on handsets. So now is the right time to think about how your app translates onto these larger screen devices that are designed to meet users’ more generic, everyday computing needs. In this post, we’ll recap some of the resources available for crafting a great tablet experience for your users. These resources are useful for everyone in the app development pipeline—from product managers, to designers, to developers, and QA engineers. No conversation about Android app design or development should go very far without first consulting the Android Design guidelines. While most of the sections are relevant to all Android devices, certain sections stand out as particularly relevant to design on tablets. The Devices and Displays page introduces the concept of density-independence. For example, although the Nexus 4, Nexus 7, and Motorola XOOM all have a similar pixel resolution (1280x768, 1280x800, and 1280x800 respectively), they have vastly different screens. Instead of thinking in pixels, think in dips (density-independent pixels)—that way, it’s much easier to conceptualize the difference between Nexus 4 (640x384 dp), Nexus 7 (960x600dp), and Nexus 10 or the Motorola XOOM (1280x800 dp). Following the 48dp rhythm discussed in Metrics and Grids helps take some of the guesswork out of sizing elements, especially for tablets. When in doubt, use multiples of 48dp (or 16dp for a finer grid) for sizing elements horizontally and vertically. For example, when showing sparse content on larger screens, consider using generous side margins of 96dp or 144dp. Or when deciding how wide your master pane should be in a master/detail layout for 10” tablets, see how your master content looks and feels with a width of 240dp or 288dp. The Multi-pane Layouts guide discusses use cases and examples for combining related views into a single screen to simultaneously improve app navigation and make optimal use of the available screen real estate. It also discusses strategies for laying out content across both portrait and landscape, all while maintaining functional parity across orientations. Since users enjoy using tablets in both portrait and landscape orientations, it’s even more important to react properly to orientation changes than with phones. Lastly, the Downloadable Stencils offer designers a great starting point for high-fidelity mockups, complete with reference device outlines, correctly sized action bars, and more. The Training section of the developer site offers task-oriented technical training material, complete with flow diagrams, code snippets, sample projects and more. Several of these ‘classes’ are geared toward helping developers understand how to scale your apps across any screen size. The Designing Effective Navigation class—aimed more at the initial design phase of the app creation process—offers a methodology for effectively planning and grouping screens on tablets, and even shows example wireframes for a simple news reader application following this methodology. The classes Building a Dynamic UI with Fragments and Designing for Multiple Screens demonstrate how to use fragments in conjunction with Android’s resources framework. They show how to easily choose between tablet and handset layouts at runtime while maximizing code reuse and minimizing your application size using resource aliases. They also demonstrate techniques for adapting UI flows based on the current layout. Lastly, while not precisely a training class, the Supporting Tablets and Handsets document offers even more information about some of these key best practices. And if you’re the type of developer that would prefer to skip the text and jump right into the code, you can even add a Master/Detail flow, complete with handset and tablet support, to your app with just a few clicks using the Android Developer Tools for Eclipse. Each week, a few of us on the developer relations team get together on the Android Design in Action live show to discuss Android design best practices, as well as provide original ‘redesign’ mockups to help demonstrate our vision of how Android apps should look and feel. In the episode, we celebrated successful examples of responsive design on Android, ranging from creating calendar events in Google Calendar, to browsing wallpapers and stories in Pattrn and Pocket, to playing video in TED, and finally to managing your conference schedule in the open-source Google I/O 2012 app. We also regularly feature tablet design concepts on the show (some are shown below), so we highly recommend tuning in each week for design ideas. 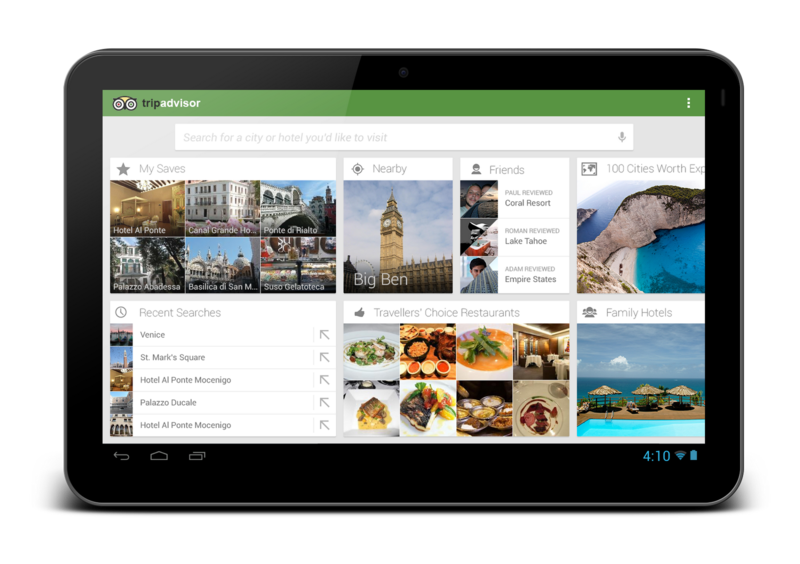 For even more tablet app inspiration, check out a few of these apps: Expedia Hotels & Flights, Pulse News, SeriesGuide, Tasks and Timer. Over in the “Distribute” section of developer.android.com, the recently published Tablet App Quality checklist is a great way to check if your app is tablet-ready along a variety of technical dimensions. You should make sure that everyone involved in your mobile products is aware of the standards defined in this checklist, as it is one of the ways in which the Google Play team selects apps to feature in the Staff Picks for Tablets collection. It's been an exciting year for Android tablets. Make sure your app is positioned to succeed in the evolving device landscape by following some of the best practices and examples discussed here and on the rest of developer.android.com. 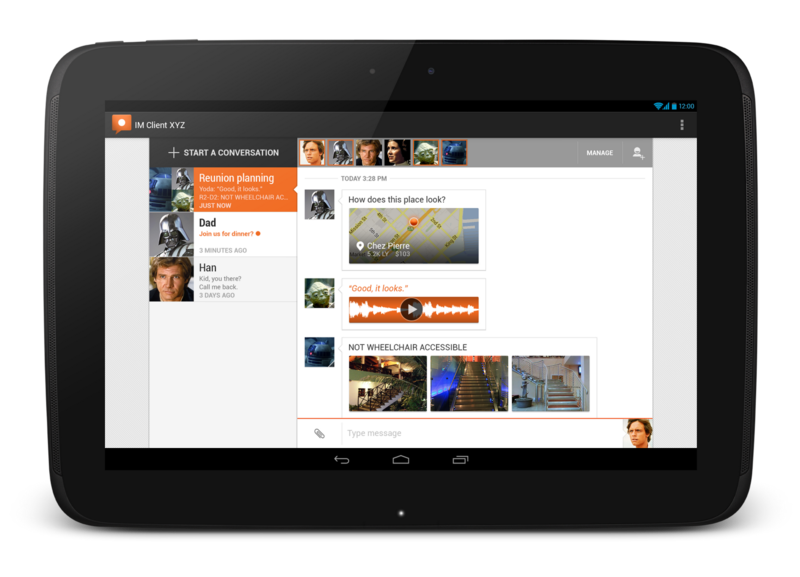 If you have specific questions about your app, let us know on Google+ (+Android Developers) or Twitter (@AndroidDev)! 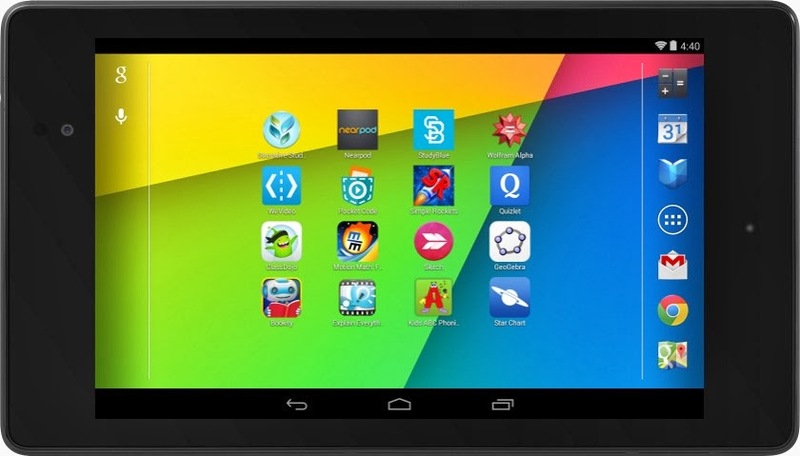 With the release of Nexus 7 earlier this year, we shared some tips on how you can get your apps ready for a new wave of Android tablets. With the holiday season now approaching, we’re creating even more ways for great tablet apps to be featured in Google Play - including a series of new app collections that highlight great apps specifically for tablet users. To help you take advantage of the opportunity provided by the growing tablet market, we’ve put together this Tablet App Quality Checklist to make it easier for you to ensure your app meets the expectations of tablet users. Each focus area comprises several smaller tasks or best practices. As you move through the checklist, you'll find links to support resources that can help you address the topics raised in each task. The benefits of building an app that works great on tablets is evident in the experiences of Mint.com, Tiny Co, and Instapaper who reported increased user engagement, better monetization, and more downloads from tablet users. You can find out more about their experience in these developer case studies. The Tablet Quality Checklist is a great place to get started, but it’s just the beginning. We’ll be sharing more tablet development tips every day this week on +Android Developers. In Android Developers Live, Tuesday’s Android Design in Action broadcast will focus on optimizing user experience for tablets, on Thursday we’ll be interviewing our tablet case studies during Developers Strike Back, and on Friday’s live YouTube broadcasts of The App Clinic and Friday Games Review will be reviewing apps and games on Android tablets.